Coming Soon: As part of our lead-up to Labour Day on May 1st, TOC will be bringing you a special feature on our elderly folks making a living on the streets of Singapore. The week-long focus will begin on 24th April, Friday. Do look out for it. It has been three weeks since the reduction of public transportation fares in Singapore, including a reduction in concession passes for tertiary students. Indeed, this move had been welcomed by the students group National Petition for Fairer Transportation Fares for Polytechnic/Tertiary Students. Although the petition’s aim to achieve equitable pricing in concession passes with JC/ITE students may have fallen short, one should not be too quick to dismiss the group’s efforts as fruitless and worthless. Dr Kevin Tan, Adjunct Professor in Law, National University of Singapore analyses that online petitions are usually ignored by the state and the corollary players as they lack the mass mobilisation of people. The adequate mobilisation of the student group and their taking the issue to the streets to canvass for physical signatures might have help get their cause noticed by the authorities. Dr Tan further adds that it is also likely that the PTC and government do not want to be seen as being too hostile towards a cause which seems fair to avoid an-government sentiment and backlash. While these individuals could have spent their time relaxing weekends or working part time, they chose instead to spend them under the scorching heat and stifling humidity to collect signatures. Their efforts offer a beacon of hope that students are not all apathetic and nonchalant and that student movements are not dead and buried. Yet this is far cry from the what is described by Dr Huang Jianli, Associate Professor in History, National University of Singapore as the pinnacle of student political activism between 1974–1975 in a 2006 paper: Positioning the student political of Singapore: articulation, contestation and omission. That era in student activism has been noted by Dr Huang as being characterised by the duo of Tan Wah Piow (picture, right) and Juliet Chin who were then the leaders of the University of Singapore Student Union. In February 1974, they managed to rally students from the four tertiary institutions in a widespread protest against a proposed ten-cent bus fare hike. August that same year also saw a partnership with the Singapore Polytechnic Student Union to manage a ‘Bangladesh Flood Relief Campaign’. There was more. Dr Huang chronicles that Tan had successfully managed to shore up support amongst students to take action over the enforced relocation of the Tasek Utara squatters in Malaysia and the predicaments of the retrenched American Marine workers in Singapore. Tan was later arrested on allegations of initiating a riot in a PAP-affiliated union office whilst demanding a better deal for the workers. Five of the student co-leaders were taken into custody and deported. The arrests incited a tremendous response by the students. It sparked off student demonstrations on and off campus, a mass rally attended by 4000, and a two-day boycott of classes. After serving his jail term, Tan escaped to England before his military service and has remained there since. Dr Huang informs The Online Citizen that the “full story of Tan Wah Piow is not out yet” with “many issues not fully disclosed and explored”, and whatever knowledge he has about Tan has been recounted in the paper. However, Dr Huang acknowledges the key role Tan played in student activism and in the 1987 Marxist Conspiracy. 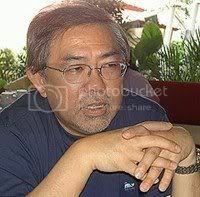 It is no doubt that Tan has left his imprint in student activism or the lack of it in Singapore. In A History of Singapore 1819–1988, Mary Turnbull a historian denotes 1975 as the demise of student activism. Dr Tan explains that the government “effectively killed student activism” with Tan and Tan’s co-leaders of the University of Singapore Student Union. This had been achieved through what Dr Huang describes as “depoliticising the student community and confining students to their studies” by amending the university constitutions, changing the structure and funding of all student bodies and the extent of their activities. Yet on the other hand, Dr Huang notes in his study that the deep impression of Tan’s activism inspired some of the ruling party’s members such as Dr Balaji Sadasivan and Mr Tharman Shanmugaratnam to serve Singapore. The death of student activism meanwhile led to an increase in youth political apathy. An article in The Straits Times on 16 June 2001 highlighted that young voters felt that this was a result of being “perpetuated by the Government arguing that citizens should join political parties if they want to be involved in politics, and an environment that is still heavy on permit requirements for all things remotely political”. Meanwhile student activism continued to flourish in other Western democracies and even in countries such as Indonesia and Iran. Student groups in Indonesia were key engineers in the fall of the Suharto regime. A May 2008 article in Business Week highlights the efforts of Tom Kalil to energise and empower students at the University of California, Berkeley to engage in challenging social problems of pollution, healthcare and sustainability. Dr Huang points out that the Government is aware of the political indifference of Singapore youths, and is committed to raising political awareness amongst the youth. Yet youths are still restricted to non-political, socio-community involvement. There is no relaxation of the rules put in place post-Tan Wah Piow era. In the various discourses and exchanges between students and the authorities, there have been no critical examination of the history of student activism in Singapore. By firstly acknowledging our history of student activism and conducting a thorough unbiased examination and critical analysis of its causes and consequences would society be then able to correct the political apathy amongst the youths. Having a heightened interest in community and political affairs is just as important as knowing where the latest fashion is, the newest movies, the top 20 charts, or the hottest hangouts in town. Singapore has come a long way from violent protests and demonstrations, and it is unlikely that we would go back this route. And I believe there is no need to resort to militancy or disruptive tactics to advocate a cause. A peaceful and collective civic participation to a fair cause at the right moment is useful in getting concerns heard. The students group is a testament to this. Yet, it’s lamentable that right now students can’t do much outside their studies and co-curricular activities, and that they can only look forward to a day whereby even a public petition wouldn’t be a taboo any longer.